Family Planning Alliance Australia has issued the following statement on the global gag order issued by the President of the USA. FPAA is an advocacy organisation and does not provide clinical or education services. If you would like to visit a family planning clinic or enquire about education, please contact the family planning organisation in your area. Long-Acting Reversible Contraception (LARC) are contraceptive methods that require administration less than once a month. LARC methods can be described as ‘set and forget’ because they do not require the user to frequently remember to do something, such as take a daily pill or use a condom for contraception. They are highly effective in typical use and offer additional benefits, such as a reduction in heavy menstrual bleeding and menstrual pain. Further, international evidence shows that LARC has the potential to reduce unintended pregnancy and abortion rates. Despite this, LARC take-up is lower in Australia than in other developed countries. FPAA advocates the increased uptake of LARC in Australia. For more information on LARC and the role of Family Planning Alliance Australia, please refer to the documents on this page. Mr Julian Henderson was appointed Chief Executive Officer of Sexual Health Quarters in early January 2015. Prior to this, Mr Henderson was the Director Community Based Health Initiatives at Edith Cowan University and led the development of a suite of regional integrated health initiatives in Perth’s North Metropolitan Corridor. He has had extensive experience in a range of roles at the Health Department of WA, and as CEO of the National Health Call Centre Network, led the national role out of healthdirect Australia. Alice Evans has been the CEO of True Relationships & Reproductive Health since mid-2013. She is a qualified physiotherapist, holds a Bachelor of Physiotherapy, a postgraduate Certificate of Hydrotherapy, a Graduate Certificate of Executive Leadership and a Masters of Business Administration (receiving the MBA Director’s Leadership and Academic Excellence Awards). 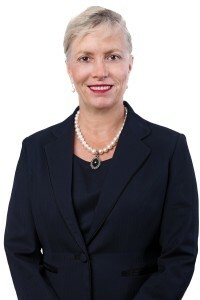 Alice is also a Graduate of the Australian Institute of Company Directors. 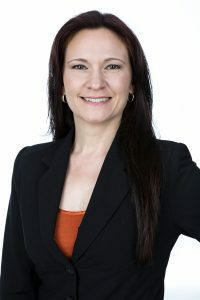 Alice has worked at a senior executive level across several sectors, including roles as Director and Executive General Manager of Business Services at GroundProbe and Management Consultant at Nautilus Rehabilitaiton Services. Alice is also the current Chair of Family Planning Alliance Australia and has held directorships at a number of organisations, bringing expertise in the areas of strategy and international business. 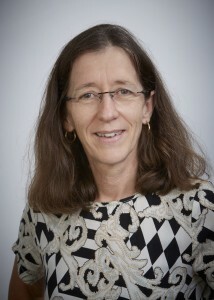 Ann is CEO of FPNSW and has been since 1996, responsible for developing and directing four service streams: Clinical Services; Education Services; Research and Evaluation, and; International Development. Ann’s career has incorporated many aspects of clinical, management and strategic public and population health service delivery in urban and rural settings. As Director of BreastScreen NSW, she led this population screening programme in NSW and was a member of the BreastScreen Australia National Monitoring and Evaluation Committee and National Advisory Committee. In prior roles she developed and managed Mental Health Services, Community Health Services and Hospital -based Allied Health Services. Ann was an Executive of the Bankstown Lidcombe Health Service and Area Advisor for Community Health for South Western Sydney Area Health Service. Currently Ann is Deputy Chair of Northern Sydney Local Health District (LHD), is a Board member of NSW Kids and Families, and a member of NSW Ministry of Health NGO Advisory Committee She was a member of the NSW Health Grants Management Improvement Program Taskforce. Ann is a Clinical Psychologist, has a Masters in Clinical Psychology and a Masters in Business Administration (MBA). Tim Bavinton works as Executive Director of Sexual Health and Family Planning ACT (SHFPACT) in Canberra. Tim is graduate of the Australian National University, University of Canberra, and University of Technology Sydney, holding qualifications in secondary education, vocational education and training, youth work, community development, and non-profit management. Tim has a broad ranging governance experience in the non-profit community services sector over 20 years, and completed the Australian Institute of Company Directors Course in 2015. Tim’s professional life has focused on young people’s health and wellbeing in various positions in education, health promotion, violence prevention, and victim support services. Is a registered nurse and midwife with qualifications in reproductive and sexual health, human resources, teaching and assessment in the workplace. Robyn has a long standing interest in reproductive sexual health having worked within the Family Planning NGO sector for more than 25 years. Robyn first arrived in the Northern Territory in 1980 and feel in love with the culture and environment. Facing the NT’s unique challenge of its high burden of diseases and a constant moving workforce, Robyn has maintained commitment and enthusiasm in the sector. 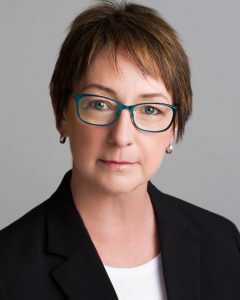 Robyn is currently the Chief Executive Officer for Family Planning Welfare Northern Territory and a Director for Family Planning Alliance Australia. Cedric was the Chief Executive Officer of the Migrant Resource Centre (Southern Tasmania) Inc for the past eight years, working with refugees and migrants in the areas of settlement, aged care, employment, youth and community development. Cedric has significant experience in organisational development across a range of sectors in a career spanning five continents. Cedric has completed post graduate studies at London Business School, undergraduate studies at Newcastle University, NSW and Sydney University of Technology, NSW. 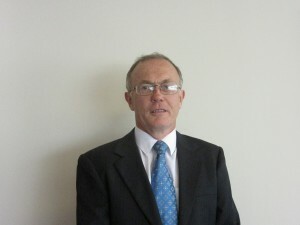 From 2008-2011 Cedric held the position of Chairperson of the Mental Health Council of Tasmania, the state peak body representing the mental health sector and consumer interests. From 2011-2014 Cedric was the Chairperson of the Settlement Council of Australia, the nation’s peak body representing humanitarian and refugee resettlement. In this capacity Cedric has provided advice to Federal and State Government ministers on multiculturalism through a range of ministerial advisory committees. For the past three years Cedric has represented Australia at the United Nations High Commission for Refugees in Geneva. Cedric was awarded the Tasmanian Community and Public Sector Manager of the Year Award at the Tasmanian Business Leader Awards in 2010, recognising his community sector management achievements. Cedric is one of nine Australians on the SBS Community Advisory Committee and was part of the Australian delegation to Eurovision in Denmark in 2014. Claire joined Family Planning Victoria as CEO in November 2016. She is an experienced and successful CEO and acknowledged leader in the community health sector in Australia. Claire originally qualified in clinical psychology and practiced in a range of areas including child and adolescence, forensics, drug and alcohol and disability. Following a successful clinical carer, Claire moved to management and progressed to CEO in 2008. Since 2008, Claire has been the CEO in organisations providing services in community mental health and disability health and wellbeing. Claire is also a qualified and experienced non-executive director. Through this and her CEO roles, she has represented peak bodies in the health and community sector to state and commonwealth government, influenced health policy and advocated for change. She has also many years’ experience in the governance and management of public and private health services and has particular interest in clinical risk management. Natasha is privileged to be CEO of SHINE SA, a leading sexual health and relationship wellbeing organisation. Natasha leads with passion, alongside staff and participants, within an inspiring culture. She has worked in health, both government and profit for purpose organisations, for 25 years. Natasha brings a strong change management and agile leadership approach to her executive and board positions. Her passion is development of an inclusive community that respects human rights and responds with shared humanity. Natasha is constantly inspired by the resilience of the human spirit and the potential for growth and development in us all.